If you think football season is close, consider this: there is only one more Football Friday before Duke opens training camp. If that doesn’t get you excited, hopefully the rest of this column will. Early analysis suggests that this may be the longest Football Friday ever, so pace yourself! No sales pitch this week. If you’re reading this, you already know how good BDN is. One other note: Duke football season tickets are still available, so if you haven’t got yours yet, time is running out. Away game tickets are also available, and we can say from experience that it’s a lot of fun to be part of the Duke faithful in watching a big Blue Devil road victory. Starting on August 1st, Duke will make single game home tickets available at GoDuke. First, in the current climate of NCAA athletics, let’s be thankful for those who do things the right way. Duke is fortunate to be led by good people who want to win, and want to do it honestly. Thank you to Coach Krzyzewski, Coach Cutcliffe, Dr. Kevin White and Dr. Richard Brodhead for their outstanding character and dedication to Duke University. Every program has problems, but the Blue Devils’ leadership has handled these situations appropriately, consistently, and with class. And thank you to all of the coaches and administrators throughout the NCAA who continue to improve the lives of thousands of student-athletes and uphold the integrity of college athletics. Those responsible should be held accountable for the egregious transgressions within the North Carolina football program, athletic department, and academic administration. It appears that this is finally being done, and one could argue that there is no wrong time to do the right thing. That being said, this puts the football program in a difficult position, and while it may be difficult for any Duke fan to say something nice about a Tar Heel, we all want what’s best for the ACC and the student-athletes. We want to see the ACC become a more competitive football conference, and we want to see programs win the right way. Hopefully, the Tar Heels will eventually arise from this scandal as a better program and a more respectable member of the Atlantic Coast Conference. With the NFL lockout finally over, Duke’s Brandon Harper was the first former Blue Devil to earn an opportunity as a professional, signing a free agent contract with the Jacksonville Jaguars. BDN wishes the best of luck to Brandon and all of the Blue Devil alumni pursuing their NFL dreams! Duke senior receiver Donovan Varner has started a video blog, the Dondo Files, and released episode 4 this week. He has great messages for young players and fans about hard work and achieving your goals. This week, he discusses being able to take constructive criticism. With that in mind, how about more than 1 touchdown this year, Donovan? In all seriousness, though, we’re looking forward to a big year from the senior receiver and are proud to have him as a role model for young Blue Devils and players everywhere. We hope you’re enjoying our week-by-week preview of Duke’s 2011 opponents. This week, we wrapped up Duke’s first half of the season with Tulane and Florida International, two important, but tough, games for the Blue Devils to win. After the off week, Duke will face yet another top 10 opponent in Wallace Wade Stadium as the ACC-favorite Florida State Seminoles invade Durham. Check back next week for a look at FSU along with Duke’s week 8 opponent, Wake Forest. Last week, we took a look around the Atlantic Coast Conference, and our predictions weren’t too terribly out of line with the rest of the ACC media. The Blue Devils landed two players on the preseason All-ACC team in WR Conner Vernon and K Will Synderwine. Now that we got the ACC predictions out of the way, let’s take an in-depth look at the team that really matters - the Blue Devils. There are high hopes for a bowl game in 2011, and a lot of that may depend on how good the Duke defense can be, but the reality is that the Duke offense will have to carry this team for much of the season. 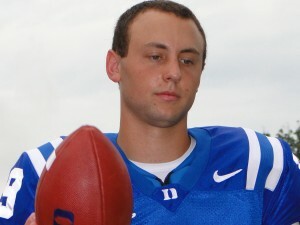 For that reason, we kickoff our 2011 Duke Football Team Preview with a look at the high-flying Blue Devils’ offense. 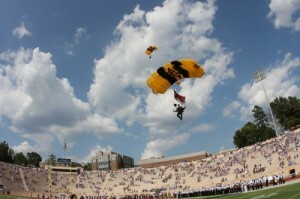 If this unit lives up to expectations, there should be plenty of excitement in Wallace Wade Stadium this fall. With considerable youth and inexperience on defense, the 2011 Duke Football team will rely on a veteran offense that finished 2nd in the ACC in passing offense and 7th in total offense a year ago. While the Duke offense showed flashes of dominance in 2010, there will need to be dramatic improvements across the board if the Blue Devils hope to make a bowl in 2011. 2010 Review: In his first year as a starter, Sean Renfree showed glimpses of his potential, but overall was inconsistent in leading the Duke offense. In particular, Renfree struggled with turnovers, finishing the season with an ACC-high 17 interceptions. Coming off of season-ending knee surgery in 2009, Renfree’s mobility appeared to be limited at times, particularly early in the season. More importantly, and not unexpectedly, the redshirt-sophomore struggled with his confidence throughout the season, especially on the heels of Duke’s embarrassing loss to Alabama. Despite the struggles, it wasn’t all bad for Renfree. He led the Blue Devils to three wins, finished third in the ACC with 3,131 total yards and completed 61.4% of his passes, including a midseason stretch of 16 consecutive completions and 28/30 completions against Navy, both school records. The 3,131 yards were the 3rd highest total in Duke history and helped to earn him the Carmen Falcone Award as Duke’s Most Valuable Player. 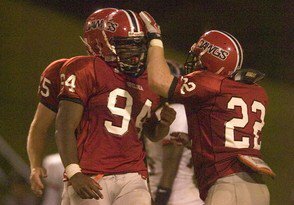 The biggest area for Renfree to improve is certainly turnovers, and he demonstrated tremendous growth throughout the 2010 season. After throwing 15 interceptions in the first 7 games of the season, Renfree finished the season with just 2 interceptions in the Blue Devils’ final 5 contests. In 2010, dual-threat QB Brandon Connette served as Renfree’s primary back-up and earned significant playing time with his legs. Connette set a Duke freshman record with 8 rushing touchdowns and finished the year with 321 yards on 78 carries. He struggled to move the ball through the air when called upon, finishing just 10/22 with 2 interceptions. 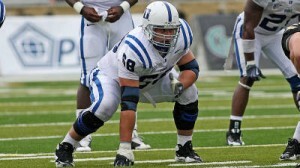 2011 Outlook: Simply put, the Duke offense will rely heavily on the play of Sean Renfree. 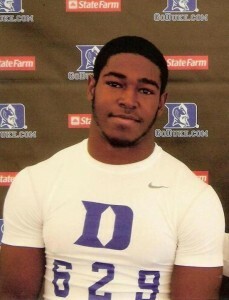 If Renfree is unable to significantly reduce his turnovers, the Blue Devils will not be bowling in 2011. Now nearly two years removed from knee surgery and with a year of starting experience under his belt, Renfree’s mobility and confidence should be drastically improved from this time last year. With three of his top four receivers returning, along with 4 of 5 offensive line starters, Renfree will be surrounded by familiar faces and will be counted on to lead the Blue Devil offense. While there is no doubt within the Duke program that Renfree is the clear starter, he will continue to be pushed by a sophomore Connette and redshirt-freshman Anthony Boone, which should only help the Duke offense. 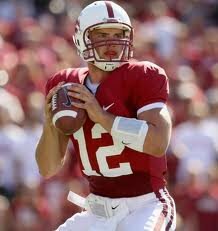 Reports from spring practice were overwhelmingly positive for all three quarterbacks and for Renfree in particular. Coach Cutcliffe has anointed Renfree as the best returning quarterback in the ACC in 2011, and believe he is poised to have a “special” season. If the Blue Devils plan on playing in December or January, he will have to play like the best quarterback in the conference. 2010 Review: As you might expect, the performance of Duke’s wide receivers mirrored the ups and downs of QB Sean Renfree. Overall, Donovan Varner and Conner Vernon make up one of, if not the, top receiving tandem in college football. After his All-ACC campaign in 2009, Varner became just the 2nd Duke receiver to post back-to-back 60-reception seasons, finishing 2010 with 60 catches for 736 yards and 1 touchdown. After a breakout freshman season that earned him freshman All-American honors, Vernon topped his 2009 campaign with 73 catches for 946 yards and 4 touchdowns. The duo of Varner and Vernon partnered with senior Austin Kelly to form the top receiving trio in Duke history in 2010. 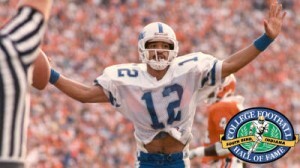 Kelly battled injuries throughout his senior year, but still finished tied for the team lead with 4 touchdown catches. Outside of the top three, Duke’s younger receivers had an inconsistent 2010. After a good spring, freshman Brandon Braxton had an up and down season in his first year of college football, playing in 11 games and starting 5. Braxton finished 2010 with 14 catches and 1 touchdown; however, of those 14 receptions, 8 went for a Duke first down. Overall, fans should be excited with his potential and can pencil him in as the third starter alongside Varner and Vernon in 2011 after a strong offseason. Redshirt-freshmen Corey Gattis and Tyree Watkins saw the field sparingly in their first year of college eligibility. 2011 Outlook: Despite the loss of Kelly, Duke’s third-leading receiver in 2010, expectations are extremely high for the 2011 Duke receiving corps. Led by upperclassmen Varner and Vernon, this should be one of the top receiving units in the country. As good as Duke’s receivers were in 2010, they will need to be better in 2011, particularly in finding their way to the end zone and securing passes (not all of Dukes 2010 turnover troubles can be blamed on the QB). Expected improvements in the Duke running game should open up big play possibilities for Duke’s receivers, allowing them to eclipse their previous career highs. With Varner and Vernon likely to draw significant attention from opposing defenses, the opportunities will be there for Duke’s young receivers to step up and make plays. Braxton will get the first shot as the third starter at receiver, and is beginning to develop good chemistry with Renfree. Expect Braxton, Watkins, and Gattis to show dramatic improvement over 2010, and they should be pushed by true freshmen Blair Holliday and Nick Hill for playing time. The athletic ability of freshman Jamison Crowder will be hard to keep off the field, and he may find some time at slot receiver in certain offensive sets. Led by two determined, dynamic upperclassmen, this group has the potential to be the best in the ACC. 2010 Review: For the past several years, the Duke tight end position has been led by two warriors in Brett Huffman and Brandon King. Seemingly always injured, it took a lot to keep them off the field. With some struggles along the offensive line, Huffman and King were called upon to aid the Blue Devils’ blockers for much of their careers, and did so admirably. The Duke staff likes to move the tight end around in their offense, and the versatility of Huffman and King allowed them to thrive in multiple roles. While Huffman and King assumed roles as the unheralded warriors of the Duke offense, junior college transfer Cooper Helfet emerged as another potent weapon in Sean Renfree’s arsenal. After struggling with an ankle injury early in the season, Helfet finished the year with at least 4 catches in Duke’s final 5 games, leading the team in receiving in two contests and earning two ACC Player of the Week honors. 2011 Outlook: Huffman and King will not be easily replaced in the Duke offense, but with two seniors and a talented group of young players, the tight end should remain a strength for the 2011 Blue Devils. Helfet appears poised for a breakout senior campaign and will be joined by redshirt-senior Danny Parker, who redshirted in 2010 after seeing 232 snaps as a junior in 2009. Redshirt-freshman Braxton Deaver should be ready to contribute in his first season of college eligibility and true freshman David Reeves may be too good to keep off the field in his first year in Durham. The concern for this group will be replacing the blocking of Huffman and King, but their receiving numbers should improve over 2010. 2010 Review: The 2010 Duke running game had nowhere to go but up, finishing last in the FBS in rushing in 2009. As they say, Rome wasn’t built in a day, and the Blue Devils took significant steps forward in 2010, increasing their rushing averages by 46.5 yards per game and adding 13 more touchdowns on the ground from 2009. Still, Duke finished last in the ACC in rushing and 104th in the country in 2011. Desmond Scott led the Blue Devils in rushing for the second straight season, finishing with 549 yards and a 4.4 yards per carry average. Scott established himself as Duke’s best all-around back and endeared himself to the Duke faithful with his game-winning touchdown dive against Virginia. Freshman Josh Snead showed flashes of his ability before injuries interrupted his season, but still finished with a team-best 4.9 yards per carry. Fellow freshman Juwan Thompson saw his offensive role increase as he adjusted to the college game, but was primarily limited to kick return duty. Junior Jay Hollingsworth came on strong late in the season, igniting the Duke offense with impressive 2nd half runs against Miami. Redshirt-sophomore Patrick Kurunuwe saw limited action on offense and special teams. 2011 Outlook: Duke returns all of their running backs in 2011, along with four of five starters along the offensive line. While blocking may be partly to blame for Duke’s struggles in the running game, Duke’s rushers must continue to improve their vision, burst, and strength. Improved confidence could go a long way to improving Duke’s running, as some of Duke’s best runs in 2010 appeared to come when the Blue Devil backs were “running with a purpose.” Scott has emerged as the face of Duke’s running game, and must become a consistent threat both on the ground and through the air for the Duke offense. While Scott is likely to again see the majority of carries, Duke’s depth at running back means that there will be significant competition for snaps in training camp and throughout the season, which should force this group to continue to improve. Snead and Thompson should take a big step forward in their second year of college football, and the overall depth at running back should allow Duke to do a better job wearing down opposing defenses. Thompson, in particular, appears poised to be a breakout candidate for the Duke offense. While no one should expect Duke to become a great running team overnight, the pieces are there for the Blue Devils to continue to improve on the ground, open things up in the passing game, and keep opposing offenses off the field. 2010 Review: After watching Thaddeus Lewis play under seemingly constant pressure for four years, the Duke offensive line appeared to take a step forward in 2010. The group struggled again in run-blocking, but finished near the top of the ACC in sacks allowed per pass attempt. Morgan, though undersized, was the anchor up front, starting at center for 36 consecutive games. With little depth, the offensive line was asked to play through injury in 2010. For many weeks, Duke’s starters sat out practice but suited up on Saturday. That warrior mentality showed through on the field, as Duke improved their rushing by 46.5 yards per game, and the line successfully protected their first-year QB coming off knee surgery (25 sacks allowed, only 5.1% of dropbacks). 2011 Outlook: Of all the position groups on the Duke offense, the offensive line appears the most ready to take a big step forward in 2011. That being said, this group loses seniors Morgan and Harper and will need to continue to work hard and produce results on the field. Duke’s starting offensive line is expected to average close to 290 pounds in 2011, and that increased size and strength should help in both pass and run blocking. For the first time since Coach Cutcliffe’s arrival in Durham, the Blue Devils will be able to go two-deep across the offensive line without significant drop-off. In fact, there should be interesting position battles in training camp at right tackle and right guard, where redshirt-freshmen Takoby Cofield and Laken Tomlinson will push Perry Simmons and John Coleman for snaps. A talented group of freshmen offensive linemen should help solidify the position for the next several years and could see the field in the event of a significant injury. For the first time in several years, Duke has multiple NFL prospects among their offensive linemen, led by Brian Moore, Kyle Hill, Laken Tomlinson, Takoby Cofield, and Cody Robinson. Overall, the size, skill, and depth has improved, but this group will need to produce results on the field for the Duke offense to realize its full potential. Running back: Jela Duncan is the guy here, and Duke would love to try and secure a commitment from him soon, though he seems content to wait out other offers. Earlier this week, we took a look at possible destinations for the Mallard Creek star, and the smart money is still on the Blue Devils here, whether it’s sooner or later. There’s no telling what will happen with North Carolina, but they remain in play for a few other backs, and with scholarship restrictions on the horizon, new offers will be few and far between. Scholarships are also scarce at South Carolina, another potential competitor for Duncan’s services. As for his current offers, Duncan hasn’t shown a lot of interest in Pittsburgh, Purdue, or Wake Forest up to this point. Some other prospects to keep an eye on include Dondre Brown, Jamie Gilmore, and Chris Mangus, but Duncan is the clear priority. Best available: Outside of running back, the Duke coaching staff feels very good about the class of 2012 and will be in a position to take the best available players with their last 2 or 3 scholarships. In the past week, Duke has hosted OL Robert Conyers and ATH Ryan Janvion, and it looks like a good bet that the Blue Devils will find themselves among the finalists for both of those Florida prospects. In addition, we’ve long reported Duke’s interest in Korren Kirven, but they face a huge uphill battle against his in-state ACC schools and several top SEC programs. Kirven is expected to narrow his list soon, and it would be nice for the Blue Devils to make the cut, but there are no guarantees. Elsewhere along the defensive line, Duke is still very much in it for Alabama standout Torey Agee, and will likely be a finalist along with Vanderbilt. BDN’s thinking is that Auburn or Georgia Tech would jump to the lead for Agee, if they were to offer. Duke is a longer shot for Greensboro’s D.J. Reader, who plans to play both football and baseball in college. With the academic requirements at Duke, it takes a very dedicated student-athlete to balance classes along with two sports. Duke has been the leader for top in-state linebacker Keilin Rayner, but something has kept him from pulling the trigger for the Blue Devils so far. He’s been busy on the camp circuit this summer, and we’ll see where things stand with him soon. It appears that other schools have closed the gap, but Duke is still in the running for his services and a good start in September could help the Blue Devils’ chances. Florida athlete Marcus Allen is another intriguing prospect who looks like a good fit in Durham with his success in the classroom and on the field, but with a Florida State offer in hand, it may be tough to pull him out of the sunshine state. California LB Jeremiah Allison is another star student-athlete who seems to fit the Duke mold, and if the Blue Devils can maybe get him on campus for an official visit, they could become a serious contender in his recruitment. As always, BDN will keep you posted with new developments. By securing a solid 2012 recruiting class early in the summer, the Duke coaching staff has been able to get a head start on evaluating the class of 2013, and we’ll slowly start to introduce members to some of the early targets as we head into the fall. Ok, seriously, I can’t write any more, and I bet your eyes hurt if you’ve made it this far. So next week, Duke defense preview time. Until then, WE ARE DUKE. BDN: Which schools have been recruiting you the hardest this spring and summer? At this point, the schools that have really be in contact with me besides Duke have been Vanderbilt, Georgia Tech, Stanford, Southern Miss, and Auburn. BDN: Which schools have you had a chance to visit recently? So far I’ve only had a chance to visit Georgia Tech and Duke, but I have plans for other visits later on this summer. BDN: Do you know which schools you are planning to visit, or is that still up in the air? 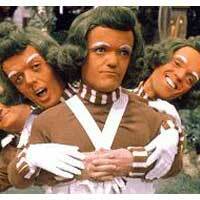 I know I’m going to Vanderbilt and I’m probably going to go to camps at Auburn and Troy. BDN: How did your visits to Duke and Georgia Tech go? Both those schools are great, they have exactly what I’m looking for and that’s a strong academic program, so it’s right up my alley. Both campuses are beautiful, the football teams are good, the coaches are great, it was just a wonderful trip. BDN: Since it’s fresh in your mind, can you talk a little about your visit to Duke this weekend? The Duke visit was great. We toured the whole campus and met some of the coaches and some of the players and they told me what it would be like in a typical day if I became a Blue Devil. It was great, you know, I’m still kind of taking it all in. BDN: Last time we spoke, you were taking your time with the process. Now that you’ve taken a few visits, do you know how or when you want to start to narrow things down? No, I’m still pretty much taking my time, like I said, I don’t really want to rush into anything, so I’m just taking it slow this summer, visiting a bunch of places and trying to get my thoughts together before I pick a school to go to. BDN: Thanks a lot, Torey, and we look forward to hearing from you again soon. California LB Deion Williams joined TE Erich Schneider, DE Allen Jackson, and SAF Dwayne Norman as the first four verbal commitments in the class of 2012 this week. 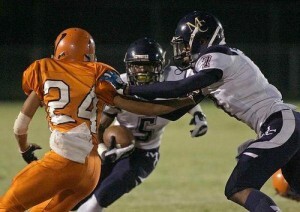 As a junior, Williams earned 2nd Team All-Trinity League honors, playing on both sides of the ball. Though Duke was his only offer to date, the coaching staff targeted Williams early on in the recruiting season and there’s reason to believe that they expect him to develop into a solid college player. During the recent spring evaluation period, the Duke coaching staff was out in full force, scouting the country for players who will make an impact for their program. At the start of the evaluation period, Duke had extended around 50-60 offers. That number has now swelled to nearly 100, so let’s take another look at the recruiting board by position. 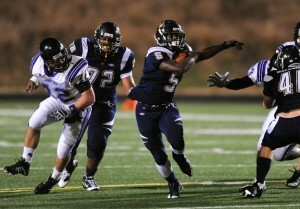 Let’s start with one of the positions of greatest need in 2012, after not bringing in a running back in 2011. Duke is up to 12 offers at running back, a good indication that they hope to take more than one in this class. Eleven of those prospects are still undecided, with J.C. Coleman, a Virginia Tech commit, being the lone exception. Dontonio Jordan is expected to announce his decision today, with most expecting his pick to be Kansas or Stanford. We’ve already heard from several of the remaining prospects, so we have some idea of where Duke stands with them: Todd Gurley, Keith Marshall, l’Tavius Mathers and Nick Tompkins. Interviews with some of the new names will be posted this week. 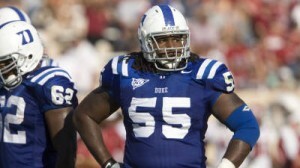 The offensive linemen are widely considered to be the strength of the class of 2011, and Duke hopes that success continues in the class of 2012. So far, Coach Luke and the staff have come up empty, losing six offensive line prospects to other schools; most recently, Patrick DeStefano to Clemson and Max Tuerk to USC. There are eleven uncommitted offensive line prospects remaining on Duke’s board, and we will focus on this position in interviews next week. It’s no secret that Duke needs to improve on defense, and recruiting well along the defensive front would go a long way towards that cause. With an athletic defensive end prospect in Allen Jackson already on board, Duke is looking at 8 additional defensive end prospects and 12 defensive tackle prospects. Of those offered, only two have committed elsewhere: Brent Wilkerson to Penn State and Matt Godin to Michigan. Again, a lot of these prospects aren’t new to us: Torey Agee, Korren Kirven, David Reader, Jordan Watkins, and Carlos Wray. The Blue Devils added Deion Williams to the class of 2012 this week, and will look to add at least one additional linebacker in this class. Keilin Rayner remains at the top of the list, but Jeremiah Allison is a new west coast prospect that has entered the mix. We’ll hear from him this week as well. Dwayne Norman became the newest member of the Duke secondary last week, but he is joined by five other uncommitted prospects on the recruiting board, which includes Ron Geohaghan, C.J. Prosise, and Jonavaughn Williams. After losing out on Ronald Darby to Notre Dame, Duke remains focused on a group of five cornerbacks, led by Larry Hope and Albert Reid. Duke views Erich Schneider, the first commitment of the class of 2012, as a tight end prospect, but will need to add at least one more to build depth at the position with the graduation of Cooper Helfet and Danny Parker. While they lost out on Evan Baylis to Oregon, Duke remains aggressive with a group of elite tight ends, headlined by Dan Beilinson, Justin Meredith, Kent Taylor, and Colin Thompson. The Duke offense remains attractive to elite wide receivers, and with All-ACC receivers Donovan Varner and Conner Vernon now upperclassmen, the Blue Devils will need to reload at the position in the class of 2012. Micheal Summers is an athlete we recently heard from who could fit nicely as a slot receiver, and Duke continues to pursue Jared Crump, Justin Johnson, and Max McCaffrey. So now you’re asking, did he really mean quarterbacks? I thought Bilal Marshall was the only one with an offer. Well, here’s your reward for reading this far. 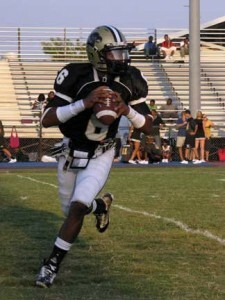 Duke has extended an offer to Georgia QB Chris Moody, another dual-threat prospect in the class of 2012. Moody has offers from other ACC programs such as Clemson, Georgia Tech, and Virginia Tech, along with an offer from Steve Spurrier and the Gamecocks. Here’s a highlight clip for those who want to see more. For most of you, this is a holiday weekend, and we wish you a safe and happy Memorial Day. For those of us here at BDN Premium, it will be a busy weekend, and we hope you’ll come back for the best AAU and Duke football recruiting coverage around. WE ARE DUKE. 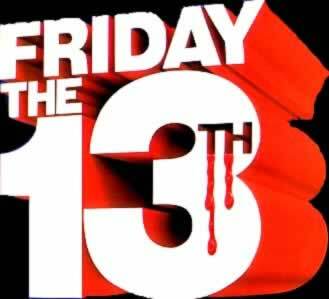 It's time for Football Friday the 13th! Blue Devil Nation sends their condolences to the Alabama Crimson Tide and the family of OL Aaron Douglas, who passed away on Thursday in Florida. Needless to say, it has been a difficult offseason in Tuscaloosa, and our thoughts and prayers are with all of those affected by the April storms and the tragic passing of this young man. With the NFL Draft now behind us, dozens of college seniors have been forced to put their future on hold while the NFL labor dispute continues. In past years, undrafted free agents typically receive contract offers or camp invites in the days immediately after the draft. 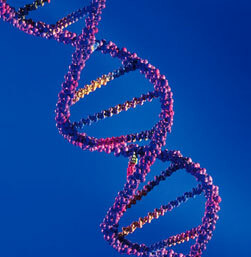 This year, due to the lockout, undrafted players have been unable to contact teams, leaving their futures uncertain. This is a difficult time for Duke’s group of seniors who are hoping to make good on their NFL dreams. Abraham Kromah recently tweeted some of his frustration: “Notice it's only the vets with money and job security saying they are enjoying this lockout.” It’s in everyone’s best interest for the owners and players to reach an agreement; a cancelled or shortened season would be a huge mistake. For the sake of Duke’s seniors and others who are left with uncertain futures, we hope the two sides come together sooner rather than later. 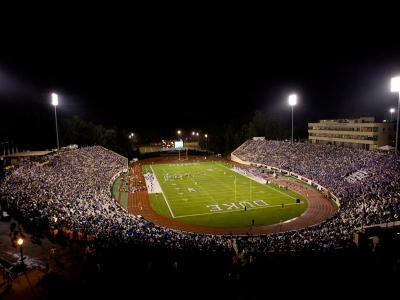 There's nothing like the atmosphere of a home opener under the lights in Wallace Wade Stadium. The Blue Devils will open their season on Saturday, September 3rd with a 7PM kickoff against Richmond. Duke fans remember all too well the last time Duke and Richmond met under the lights in Wallace Wade Stadium, and a similar outcome would be a huge blow to the 2011 season. Under Coach Cutcliffe, Duke has hosted four straight night game home openers, with great crowds at the first three as part of Duke’s Annual Employee Appreciation Night. One of the defining moments early in the Cutcliffe era was the lightning-delayed home opener against James Madison, where much of the crowd of 32,561 waited out the storms to witness the program’s first win under Coach Cutcliffe. The Blue Devils will need that kind of support and enthusiasm in Wallace Wade Stadium this year as they take on another tough home schedule, highlighted by the September 10th game against Andrew Luck and Stanford, which is slated to kickoff at 3:30 PM and will be televised on ESPNU. After an early season conference road loss to Wake Forest in 2010, Duke will need to reverse their fortunes with a tough early season matchup with Boston College in Chestnut Hill on September 17, which will kickoff at 12:30 PM on the ACC Network. 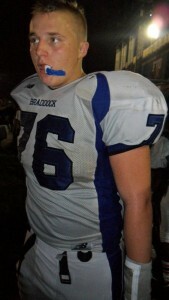 The Blue Devils have secured two commitments early this recruiting season in TE Erich Schneider and DE Allen Jackson. For comparison, by the end of May in 2010, Duke had already received 5 verbal commitments and by the end of May in 2009, Duke had already received 4 verbal commitments. In both previous years, the majority of commitments were made in June and July, and the Blue Devils hope that will be the case again this year. The staff has been on the recruiting trail hard this spring, checking in with current recruits and scouting potential new prospects. With many high schools now in the middle of spring football practices, prospects are given an opportunity to showcase their offseason improvement to coaches in hopes of earning new scholarship offers. After spring practices wrap up, the next opportunity to impress college coaches will be the summer camp circuit. Duke will host its one-day camps on June 11th and 18th this year, with the David Cutcliffe QB College on June 16th and 17th. It will be interesting to see how this recruiting season unravels, with written scholarship offers not sent out until August. Also, coming off a 3-win season, the Blue Devils have a lot to prove to prospective recruits, who want to play for a winning program. With a relatively small number of available scholarships this year, the Duke staff has been a little more selective than in previous years, focusing their efforts on several high-level prospects. All of these factors will come into play as Duke puts together the class of 2011. The Blue Devils are close to having the facilities, staff, and education to compete with any program in the country, but still need to improve in wins, fan support, and NFL alumni. DL Matt Godin committed to Michigan on Thursday. He visited Duke earlier this year and the Blue Devils were initially high on his list. Unfortunately, Michigan, Michigan State, and Wisconsin ended up offering the Michigan native, and it became nearly impossible for any school to lure him out of his home state. TE Evan Baylis committed to Oregon recently. After originally planning to make his decision over the summer, he decided the offer from the Ducks was too good to pass up. DE Torey Agee received an offer from Stanford this week. Duke and South Alabama were the first to offer the Opelika, AL native, who plans to visit Durham this summer. With Stanford now in the mix, this recruitment has immediately become more competitive. Duke and Stanford are battling for a few prospects already (Dontonio Jordan, Albert Reid), so it will be interesting to see if the Cardinal can continue their success in the post-Harbaugh era. Prospect interviews will start up again next week. Please feel free to chime in on the message board on any prospects you’d like to hear from. We’ll start to check back in with several of the prospects we spoke with earlier this year to see how their spring has gone and where they are in their recruiting process. Here’s to a great week! WE ARE DUKE.